Use the search panel on the left to find the suppliers you need to make your wedding day one to remember. 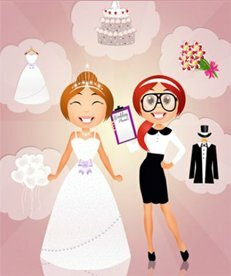 You'll find everything here, including photographers, videographers, florists, wedding cars, entertainment, decor... and the all important dress of course! 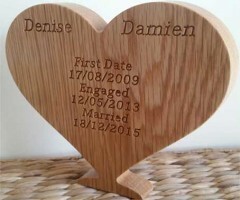 Whether you're looking for a beautiful, unique gift for a wedding present, or you're looking for something special to remember your own wedding day, Irish Wooden Gifts offer stunning creations made from hand. © 2019 LoveWeddings.ie - All Rights Reserved.